Driving is much more enjoyable with a car that looks good. If the paint of your vehicle is scraped, scratched, faded, or otherwise damaged, come to Lacey Autobody to get your ride back to looking its best. 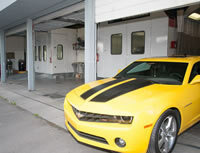 We are a state-of-the-art custom auto paint shop that has been serving the Lacey, WA community since 1962. Our facility offers high-quality auto painting services that transform weathered vehicles into ones that look like they just rolled off the showroom floor. 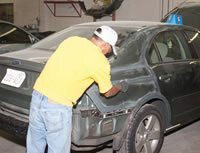 Whether your car needs paint repair or you simply want to give it a new look, come to our auto paint shop. Our car painting experts will work their magic and you'll love your car once again. When it comes to fixing collision-damaged vehicles, the job is not over until flawless car painting has put an outstanding finish on your auto body repairs. We realize this, so our auto painting specialists work diligently to return the original look and shine to accident-damaged vehicles that come to our facility. Is it time to give your car a fresh coat of paint? Are you wondering whether your ride can be given another color, one you have always visualized it in? 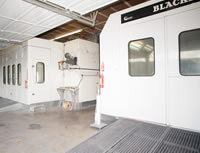 Our auto paint shop can turn your vision into reality. Call Lacey Autobody at 253-581-0220 to schedule a car painting job for your Lacey vehicle.